When it comes to picking a favorite pro disc golfer, or rooting for a particular guy or girl- I can never decide. One year I was all about Cale Leiviska because I learned about disc golf on a trip to Minnesota. Another year I pulled for Nikko because of his putting style and how easy he made it look. Then all of the sudden I’d root for Nate Doss, but the very next week I’d switch it up and hope Paul Ulibarri could take the big tournament. I’ve probably picked 20 different favorite disc golfers out of the top 25 in the past four years. This season however, that’s all changed- because JohnE McCray has decided to travel and officially go on tour. 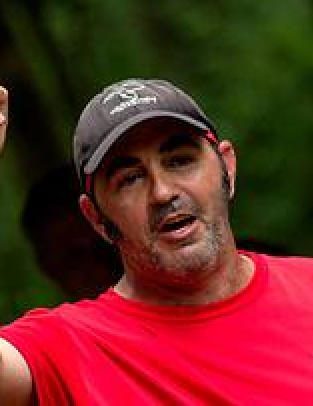 The 46 year old JohnE is from Brandon, FL, and has(according to his PDGA page) played at the pro level for 16 seasons. When you poke through his statistics pages (found here) on PDGA.com, it’s clear that he is a high level player. He’s a 1035 rated golfer, and the last time he was even below a 1015 rating was in 2001. There are some great finishes that stick out- like 10th place at the 2004 USDGC, 3rd place at the 2008 USDGC and 5th place at the 2012 Vibram Open. However, what sticks out more are the “year in review” pages for his last 3 seasons. He finished 1st place in 33 out of 60 tournaments. That’s 55% of all the tournaments and doesn’t include 2nd place finishes. In 2011, he never finished lower than 4th place in ANY tournament. 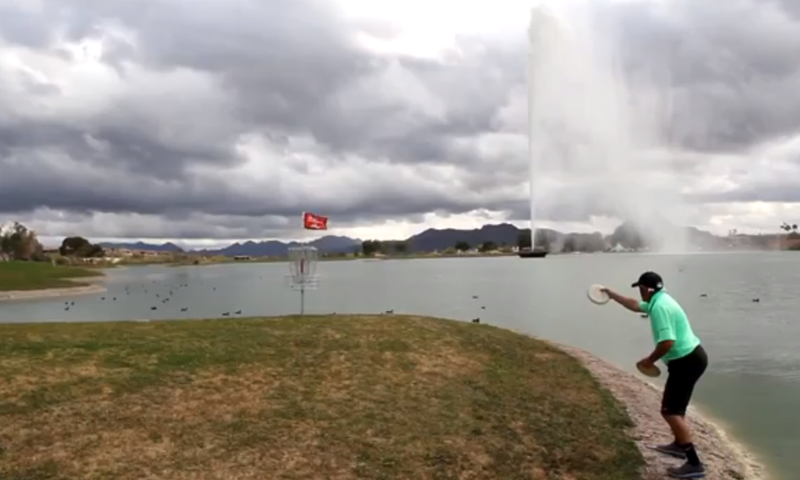 In short, he has dominated Florida disc golf. This was how I first heard of him- on a trip to Florida I met some local players and they couldn’t say enough good things about this guy. It seemed like anyone who had met him enjoyed playing with, watching and learning from him. At this year’s Memorial in Arizona, JohnE was a clear crowd favorite. He’s a down to earth guy who seems to be attracting new fans by the dozens as the season takes off. However, he’s anything but an underdog. To most pros, he’s not even a new face. I equate JohnE McCray to what music lovers call a “musician’s musician.” If you only listen to top 40 radio hits, you probably have no idea who Steve Gadd is. If you are a rabid fan of all types of music and musical talent, then you don’t have to be told that Steve Gadd is one of the best session drummers of all time. For JohnE, the talent level is clear- it’s just that this season he’s decided to take it on the road and test it out against all the touring regulars. Continuing on the musical metaphor, how often do you find yourself seeking out a slightly more obscure group that isn’t played on the radio or known by all the 14 year old girls on earth? The cliché phrase used to make fun of the hipster types who took this too far was, “I liked them before they were cool.” At this point, JohnE McCray still has that obscure mystique. He hasn’t won a world championship, or a USDGC, so he has yet to stamp his name on a signature disc thrown by thousands of disc golfers. Speaking of which, he’s also sponsored by Gateway Discs and carries an exclusively Gateway equipped bag. Gateway isn’t known for their distance drivers, or even their mid-range discs. They’re still very much a legit disc golf manufacturer however, because of their wildly popular putter: the Wizard. One of the most notable characteristics of the Wizard is how much it varies from disc to disc. My SS Wizard is firm but grippy. Your SS Wizard might be chalky and firm. You may have a friend with a SSS Wizard that’s even firmer on the flight plate, but gummy on the rim. It’s a unique disc by nature and by design- and that’s why it’s used by so many people. The whole vibe you get from the Wizard and from Gateway Discs couldn’t be more accurately represented than it is in JohnE McCray; and that’s where the appeal is for me in rooting for him. I don’t know JohnE personally, but I’m confident through talking with friends that know him and through watching videos on YouTube and interviews with him- that he’s a down to earth kind of guy. As a fan of pros playing at the top level- I’m forced to do so at a distance. Whether I like it or not, I make judgements based on their personas, their image, and the way they carry themselves on the course (since this is the only place I see them- live or on film). Many players seem to deal with frustration by overcompensating with ego and those negative personas can stick with me. Call it a casualty of confidence if you want, but it’s just not appealing as a casual golfer to see someone pout about missing a putt I only make 15% of the time. JohnE is new on the tour scene this year, and he has the advantage of a clean slate. I heard him say in an interview (and I’m paraphrasing here) that in this season, nobody is going to have as much fun as him. That sounds like a generic statement on face value, but I’ve never heard any other golfer say it with such conviction. Sure, you’ll hear someone say that they “wanna have fun out there,” but it’s clearly JohnE’s focus for the year. You can tell from the way he’s named his tour, “The JohnE McCray It’s About Time Tour,” that he isn’t taking this for granted. He’s putting himself up against the best players in the world for the long haul, and his perspective is very much refreshing. I’m rooting for JohnE in 2014. Do yourself a favor and check out his webpage, watch his in the bag video, and if you can- send him a little support as well. This entry was posted in Opinions & Technique, Touring Pros and tagged 2014, disc, gateway, golf, john, johne, mccray, tour, wizard. Bookmark the permalink.